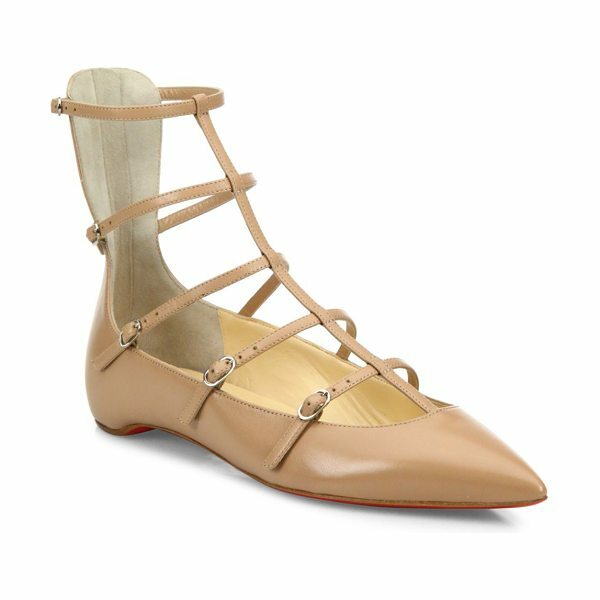 Leather point-toe flat topped with slim caged straps. Leather upper. Point toe. Back zip with adjustable straps. Leather lining. Signature red leather sole. Made in Italy.